The Standing Stone: Little Curragh IVa, Barrow, Co. Kildare. Little Curragh IVa, Barrow, Co. Kildare. Location – These two are out in the open and have no real landmark to guide you to them so a GPS is really essential here because spotting these little barrows will be tricky...but then again people found them perfectly well before we had GPS. 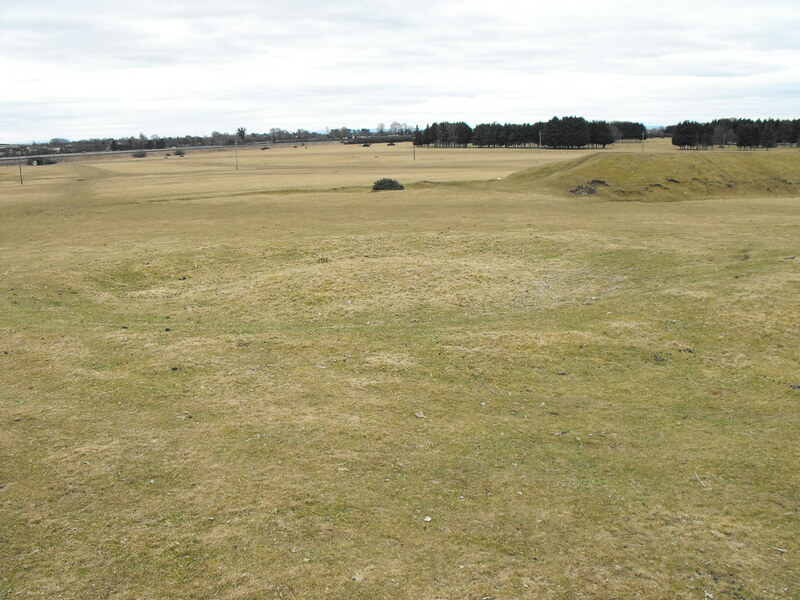 Description and History – This barrow, although small, is very nice and well preserved. It is perfectly round and the small bank and fosse are well defined. That’s all I can really say about it. Small but nice. Difficulty – It’s size makes it difficult to spot. For Little Curragh IVb, click here. For the Little Curragh main menu, click here.